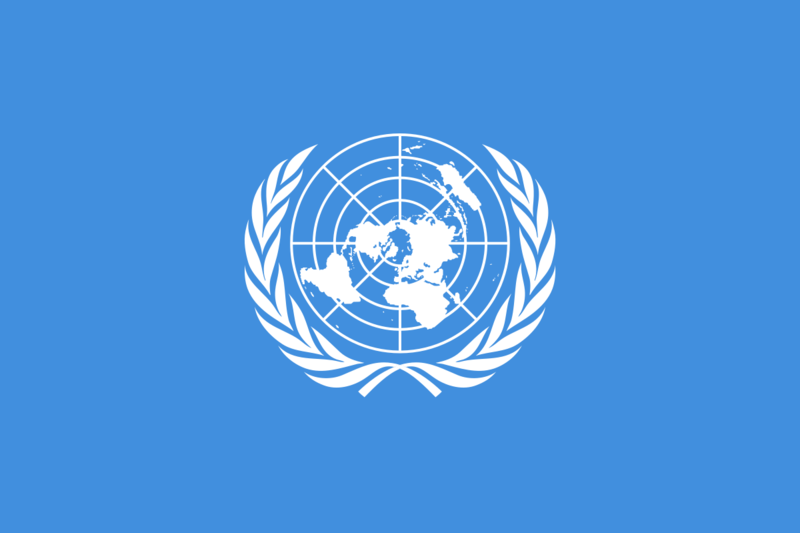 The United Nations Special Rapporteur on extreme poverty published a condemnation of the wealth gap in the United States, citing disparities between the U.S. and other developed nations. The U.S. has the highest rate of income inequality of Western countries, according to the May 2018 report submitted to the U.N. Human Rights Council. Compared to other nations in the Organization for Economic Cooperation and Development, the U.S. also has the highest rate of youth poverty, infant mortality, and incarceration. The Foodbank recognizes the interlocking of hunger and poverty and aims to “shorten the line” by helping people rise above the circumstances that lead them to need food assistance. We offer aid to those applying to the Supplemental Nutrition Assistance Program and other public assistance programs. The Foodbank also employs former inmate: one third of our current employees were previously incarcerated. The U.N. Report offers many suggestions to policymakers to address the income gap in the U.S. Key among them is recognizing the social and economic impact of inequality. “The United States is alone among developed countries in insisting that, while human rights are a fundamental importance, they do not include rights that guard against dying of hunger, dying from a lack of access to affordable health care or growing up in a context of total deprivation,” the report states. UD’s Welcome Stadium on Edwin C. Moses Boulevard is usually bustling with cars lining up to park as people gather to watch the University of Dayton Flyers’ basketball team play against other colleges. The crowd is excited to participate as their local team scores big points. But, once a year, a different crowd shows up at the stadium’s parking lot. Cars line up in anticipation as The Foodbank and CareSource set up pallets of food that will be given away to everyone in line. 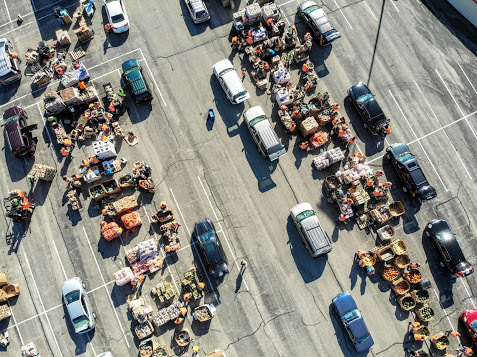 This year, on September 28th, the first car got in line at 3:30 am to receive fresh produce. Volunteers hand out items like corn, potatoes, tomatoes, cabbage, and watermelon as the cars drive through the line and then head back home. The Ohio Poultry Association passes out free cartons of eggs as well. As the cars go home, they take their fresh produce to their family, hungry and tired. In Montgomery County over 93,000 (or 1 in 6) people struggle with food insecurity. They don’t have enough money to afford a healthy meal for every member of their family. Some may be working two or three jobs just to pay bills, others may have just gotten laid off. Whatever their circumstances, events like this and food pantries in their area are there to lend a helping hand and make sure they don’t go to bed hungry. This year, 1,702 families came to the mass food distribution at Welcome Stadium and left with food to provide a few more meals on their kitchen table. Beginning March 5th, Kroger will give customers the chance to round up their total grocery bill to the nearest dollar. Money raised will benefit The Foodbank of Dayton in local stores. In response to on-going community needs, Kroger is now inviting customers to help bring food to the tables of their hungry neighbors with its Round-Up fundraising campaign, which will be available in all stores beginning Monday, March 5, 2018. Shoppers will now have the option to “round up” their total grocery purchase at the cash register, with 100% of the funds benefiting Kroger Cincinnati/Dayton’s three Ohio-based food bank partners: Freestore Foodbank, Shared Harvest, and The Foodbank. The Foodbank works with food pantries across Montgomery, Greene and Preble counties to feed people who qualify for food assistance. In this service area, nearly 124,000 people struggle to put food on their families’ dinner tables. Funds raised through Kroger’s Round Up Hunger campaign will be used by The Foodbank to provide food to local neighbors in need. Make Your Donation Stretch Further! We have some exciting news to share! Through the end of the year, every $1 donated to The Foodbank through the Bank of America Give A Meal program will be matched by the Bank of America Charitable Foundation with $2! That’s right! Your donation of $50 will be matched for a total donation of $150. Below are instructions for making your dollar stretch to serve as many of our hungry neighbors as possible. Step 4: After making your donation you will receive a tax receipt from Feeding America. It’s that easy! The leaves are finally down and frosty mornings are nipping fingers and noses. Thanksgiving is imminent and the winter holidays are in sight, which means that it is time for Holiday Aid, a yearly massive food drive in the Dayton area that runs from October through December. Holiday Aid is run by volunteers with a “dedication to engaging kids at a young age to donate to others and create a lifelong commitment to helping those who need a hand,” according to Lora Davenport of The Foodbank, the partnering organization of Holiday aid. Volunteers who work with the drive include four community philanthropists, a coordinator at every school, and Tobin Brothers Moving and Storage, which picks up and delivers the barrels. 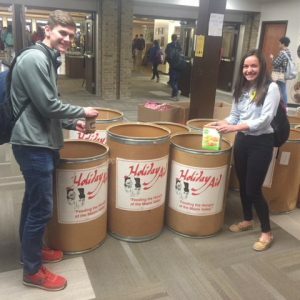 Over the course of time, the company has picked up over two million pounds of food collected by students. This year, 74 local public and private schools will participate in the drive, which contributes food to The Foodbank. 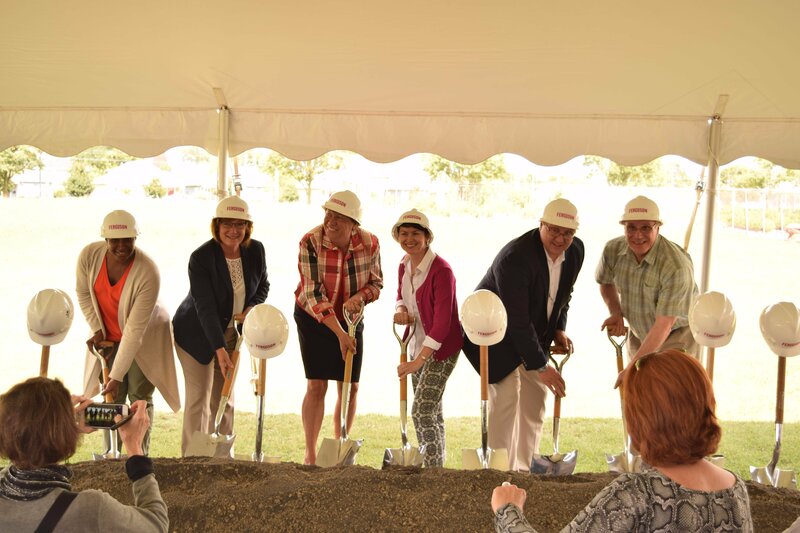 The schools are located in Dayton, Centerville, Huber Heights, Kettering, Oakwood, Beavercreek, Xenia, and Trotwood and run the gamut from preschools and elementary schools to high schools. Non-perishable foods are collected in barrels and a record of the pounds accumulated at each site is recorded. Two trophies are awarded to the schools. One is the most pounds collected per student, and the other is awarded for the most pounds collected by the entire school. Barbara Heck has been the Holiday Aid Secretary since 1989. She is a retired administrative assistant from the Miller-Valentine Group, which houses the food barrels in its warehouse in West Carrollton. “When I started with Holiday Aid I did not realize how great the need is for the donated food. The drive has grown steadily over time. In 1989, there were 26 schools. Since then the program has grown to 75 to 90 schools,” she said. Seeing the participation of the students is deeply moving to this long-time volunteer. “Some of the students with a passion to help others are among those that need help themselves,” she stated. Gary Smiga, who began as a board member in the 1990s, has served as President of Holiday Aid for the last ten years. For thirty six years, he worked in Centerville as Teacher, Principal, Central Office Administrator, and finally, as Superintendent. He retired in 2009 and became the Executive Director of the Montgomery County College Promise program in 2010. In 2015 he assumed the title of Executive Director of the Dayton-Montgomery County Scholarship Program as well. Smiga is proud of Centerville’s 100% participation in Holiday Aid from all twelve schools. “Serving Holiday Aid was an extension of what I tried to do every day as an educator…making a positive difference in a young person’s life. Holiday Aid would not be the success that it is today without the enthusiastic support of our school children, teachers and staff. We are pleased to also partner with The Foodbank to make sure that the food that is collected gets to the dinner table of the neediest,” he added. The students do make a huge contribution. Last year alone, Holiday Aid collected 66,679 pounds of food, which translated into 55,565 meals. For participating schools, the race is on to top that total this year and bring home the coveted trophies. According to Feeding America’s annual report, Map the Meal Gap 2017, Montgomery, Greene, and Preble counties have a 16.8% food insecurity rate compared to the national average of 12.7%. A household is food insecure if there is not access, at all times, to enough food for an active, healthy life for all household members. Each year, US Department of Agriculture (USDA) measures the extent and severity of food insecurity in households through a nationally representative survey. These statistics are released in a report called Household Food Security in the United States and are based on a measure of food security derived from responses to questions about conditions and behaviors known to characterize households having difficulty meeting basic food needs. Results from this survey were released today by Feeding America through Map the Meal Gap 2017, reporting for 2015. 1 in 6 people in the Miami Valley don’t know where their next meal is coming from. 1 in 5 children are food insecure locally. In The Foodbank, Inc.’s service area of Montgomery, Greene, and Preble counties, 123,910 people report food insecurity, 16.8% of the population. Of this number, 36,650 are children under the age of 18; a rate of 22.3%. The rate of food insecurity in the Miami Valley has decreased by only .4% since 2014; less than half a percent. Nationally, rates of food insecurity were higher for Households with children headed by a single woman (30.3%) or a single man (22.4%), Households headed by Black, non-Hispanics (21.5%) and Hispanics (19.1%), and Low-income households with incomes below 185% of the poverty threshold (32.8%). The Map the Meal Gap 2017 interactive map allows policymakers, state agencies, corporate partners and individual advocates to develop integrated strategies to fight hunger on a community level. Editor’s note: This guest post has been provided by Dayton personal injury law firm Dyer, Garofalo, Mann, & Schultz, which helps residents in Montgomery County and beyond with legal claims for product liability, nursing home abuse, workers’ compensation, Social Security and disability, and more. 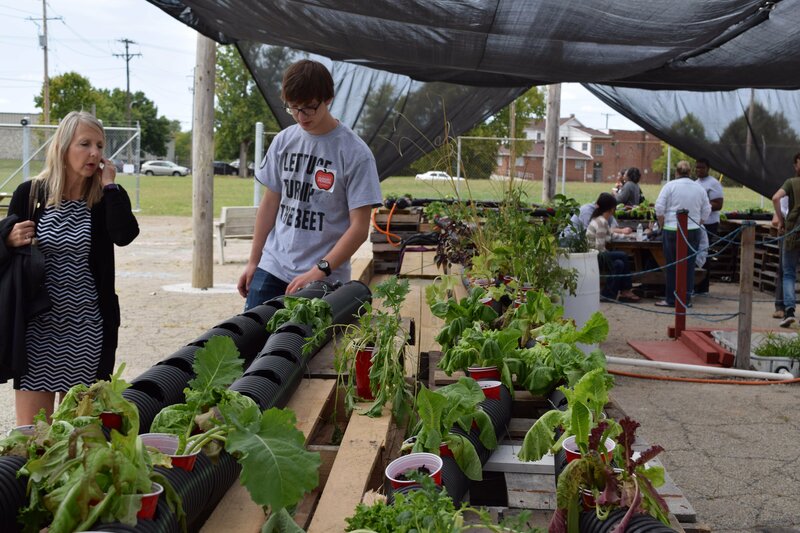 After two years, the community served by The Foodbank in Dayton is really starting to dig into its new urban garden. The 40-bed garden grows fresh fruits and vegetables that are later donated to 23 sites in the tri-county area. 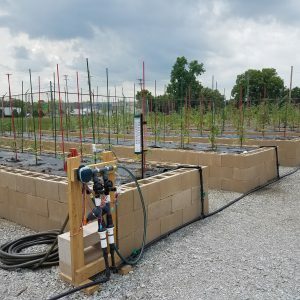 Food grown is given to local pantries and shelters at no charge; recipients just have to make at or below 200% of the poverty line to access it. The garden has come a long way since its small start in milk crates. 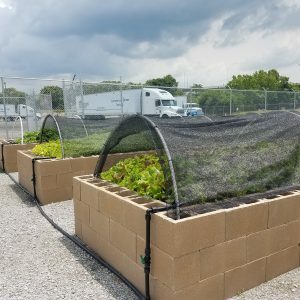 Now, it’s on a blacktop at The Foodbank property and has its own manager, a master gardener, who helped grow 2,000 pounds of food last year. The most popular offerings have included lettuce, tomatoes, beans, and herbs, but people who benefit from the garden also always love hardy potatoes, while others enjoy more vibrant options, like eggplant and mustard or collard greens. James Hoffer, Master Gardener, started off as a volunteer 18 months ago at The Foodbank in the original garden and has been working the past six months as the manager in the new space. Gardening was always a passion of his since spending countless hours on his grandparents’ 2-acre plot from the time he was in diapers to growing up learning how to care for the land, animals, and plants that inhabited his World War II veteran grandfather’s garden sanctuary. Hoffer decided to become a master gardener after inheriting his grandfather’s seed collection when he passed away, some of which had been in the family for over a century. And Hoffer is spreading that gardening joy through these lessons. 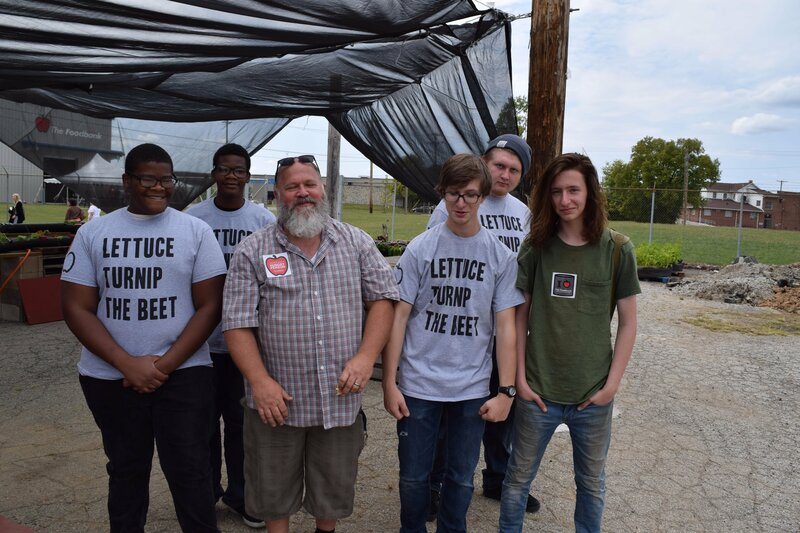 A high school group, for instance, is building an aquaponics center for The Foodbank, which helps gets these students out of the classroom and learning more about healthy food and how it helps our residents in need. Other volunteers take part in helping with The Foodbank’s mobile farmers market, which visits places where people with disabilities and seniors live. Senior hunger is something that is increasing in the area as more baby boomers are retiring, and their retirement funds aren’t able to cover everything. Food stamps, if they receive them at all, don’t cover much of their needs, especially if they have to pay for medicine, housing bills, and anything else that comes along with aging. And it’s not just seniors that need this help. Nearly 124,000 people in the tri-county area have trouble with hunger, with 36,650 of them being children, according to Feeding America’s Map the Meal Gap. Family hunger also isn’t just about children who are going hungry — oftentimes, local programs will help kids, such as a box given to those in kindergarten through third grade to make sure they don’t go hungry over the weekend, but they only have enough food to help the child. A lot of pantries out there can help the whole family, and all of us are looking for new ways to better serve them. That’s where the urban garden comes in. The Foodbank is inviting the community to help grow its urban garden, both its actual crops and its size, eventually. While last year The Foodbank saw 2,600 volunteers, many assisting with the mobile farmers market, we could use much more help in the garden. One of the biggest challenges is getting consistent and knowledgeable volunteers who stick around, Hoffer says, as the garden relies heavily on volunteers to grow the produce. Hoffer said that while the garden can’t grow year-round, they do use some extension methods to get nine or 10 months of good production. That’s plenty of opportunities to help most of the year. 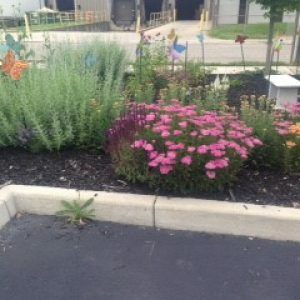 Join an established urban community garden. You’ll likely find some knowledgeable people who would love to share the lessons they’ve learned along the way. If you decide to grow in your own backyard, start small and only with a few crops. That way, you can expand as your base of knowledge does. Hot tip: You can grow almost any fruit or vegetable in Ohio except for the tropical varieties. Some of the easiest to start with are tomatoes, beans, carrots, lettuce, and peppers. Good luck! And if you’d like to volunteer, visit thefoodbankdayton.org/take-action/.